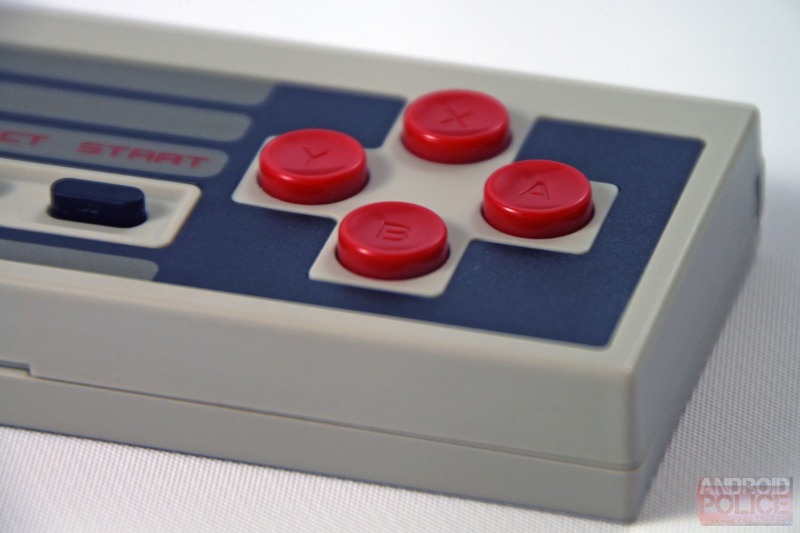 The NES30 is a Bluetooth controller that taps into this nostalgia. It's a shameless rip-off of the controller that came with the Nintendo Entertainment System, one of the most iconic pieces of electronics in history and, for many, their very first taste of video games. But Chinese manufacturer 8BitDo wasn't content to merely copy the original: in addition to a Bluetooth connection, battery, and a little software to make the controller play nice with mobile and PC games, they added two extra face buttons (X and Y) and two shoulder buttons to boot. 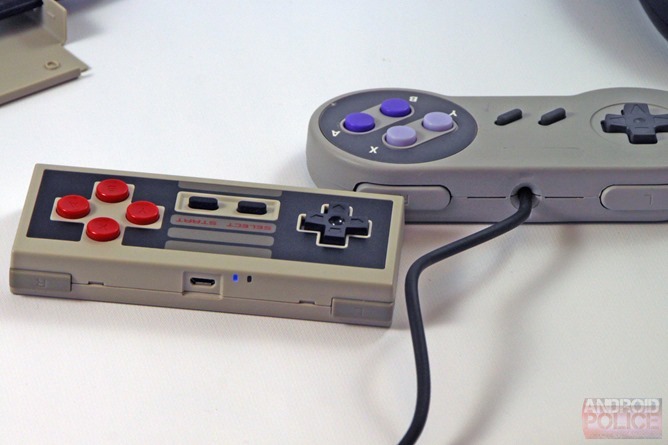 This essentially makes the NES30 into a copy of the Super NES controller, but crammed into the size and shape of the original NES form factor. This makes it much more practical for playing modern games, especially on mobile. And what's really surprising is that the package works, both functionally and ergonomically. 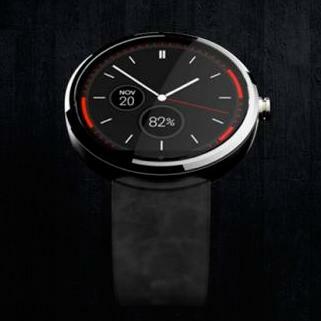 Don't get me wrong, the visual and tactile design are all about the look. But between the simple and effective layout and the comparatively small size of the NES30, it makes an excellent companion for Android gamers looking for an easy way to add tactile input. There are a few small issues, mostly stemming from game developers' lack of proper Android controller support, but overall it's a tight package with good functionality. 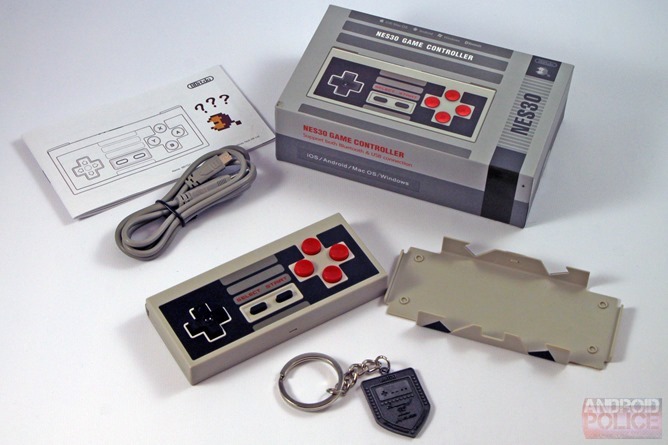 The NES30 is also a relatively pricey package, going for $45 at a handful of retailers. Whether that's worth it for you will probably depend upon how much you like the retro aesthetic, and how much you want a portable controller for Android gaming. 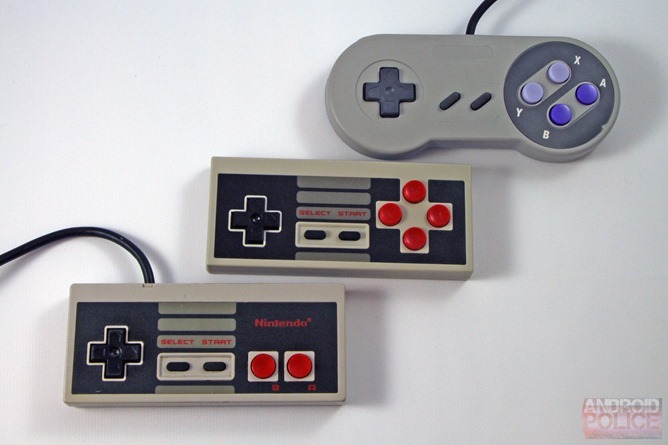 The NES30 is a carbon copy of the original NES controller. Except where it isn't. 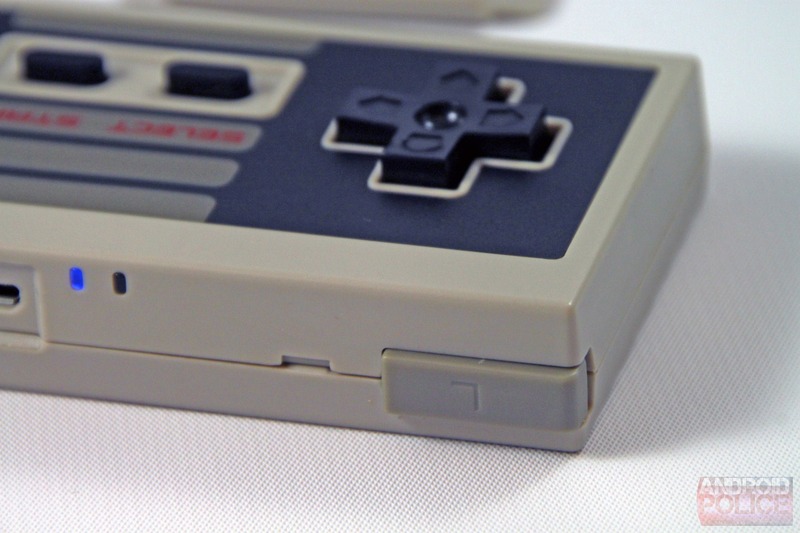 The unofficial Bluetooth controller uses almost exactly the same rectangular shape and dimensions (122x53x16mm) as the plastic controller from the 80s, right down to the seam in the casing about two thirds of the way down the edge. The color of the grey plastic and the ornamental, wear-resistant sticker on the top are more or less perfect. 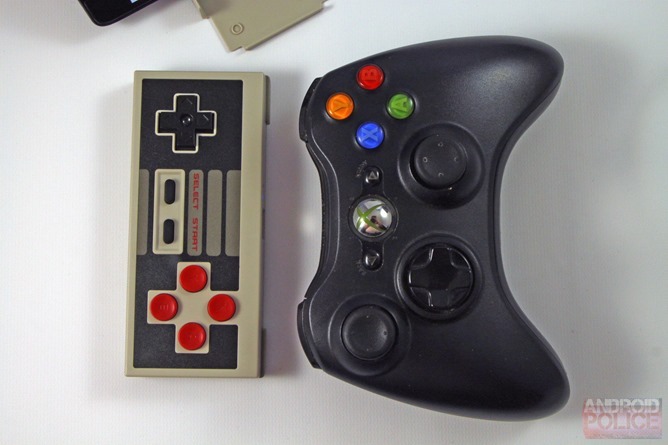 Well, perfect in the sense that they emulate the look and feel of the original: objectively, the NES and its controller were pretty ugly, even by 80s standards. But that's kind of the point. 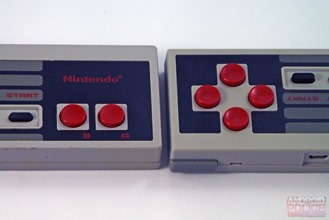 The biggest draw for this device is that it brings the NES controller a bit forward in time, adding two extra red face buttons for a total of four and bolting on L and R shoulder buttons. The face buttons are rearranged, shifting the side-by-side A/B layout from the original controller into the cross configuration that Nintendo introduced with the Super NES, and which is still more or less universal today. (The A/B/X/Y buttons and now embossed like more modern controllers as well.) 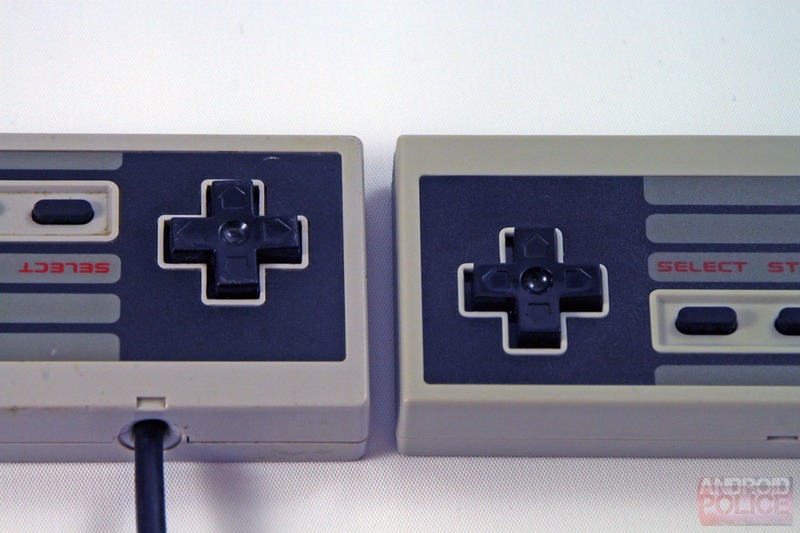 In fact, the layout is basically the same one found on the SNES (and incidentally the Nintendo DS), but crammed into the smaller, sharper body of the NES controller. Keeping to roughly the same original spacing of the face buttons, this makes the A/B/X/Y area seem a little lopsided compared with the D-pad. 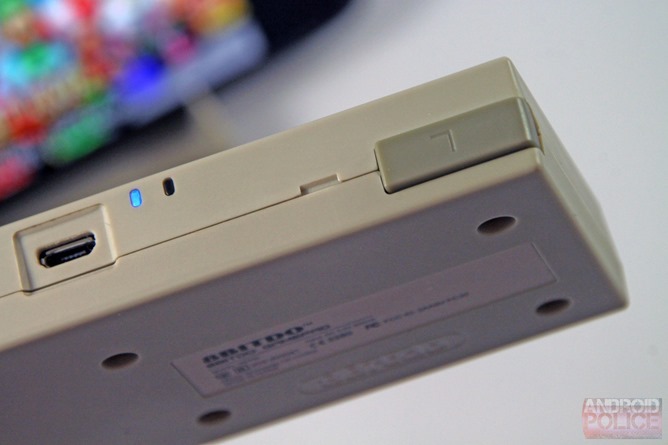 The trigger buttons are small but functional, about the same size as the ones on the Nintendo DS Lite. The Bluetooth gadget needs a little extra hardware to get everything working. A standard MicroUSB port hangs out on the top edge, enabling easy recharging with just about any Android phone charger. A MicroUSB cable is included in the box, but there's no wall outlet adapter. A small Bluetooth indicator light and and red/green power light sit beside it. 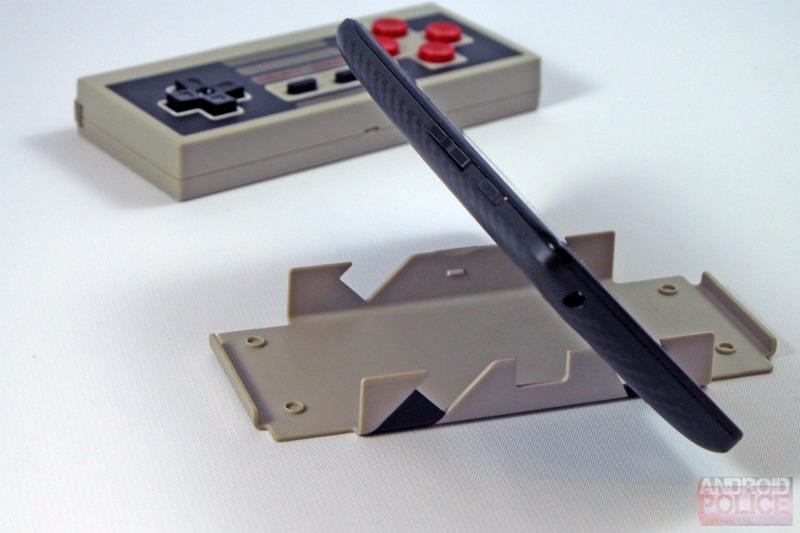 The NES30 also comes with a free plastic stand for your phone, a handy addition when you're travelling. The stand snaps onto the back of the controller itself, but can't be used as a protective cover as I initially thought. It works well for phones thanks to two angled grooves, and anything up to about the size of the Galaxy Note should fit. Tablets are a bit too heavy to fit into the slots. See the lamentable iMpulse controller for a similar implementation. There's no vibration motor, no speaker, no LCD display, and no frills on the NES30. It's a box of buttons with a Bluetooth radio. The major advantage it has over other generic Bluetooth controllers, aside from its "classic" aesthetics, is that it's quite compact. The shape of the original boxy controller fits into a pocket much more easily than any of the MOGAs, even with the stand attached. Incidentally, this is something that would have been considerably harder even with the slightly larger shape of the controller from the Super NES or Genesis. The only cosmetic issue I have with the NES30 is the ornamental sticker on the top. The thin strip in between the start button and the bottom lip seems to be a little loose, but pressing it back down is sufficient for now. One last thing: the box that the NES30 is shipped in is decorated to look like an NES. Nice touch. The package includes a paper manual with questionable English translation and a decorative keychain. The buttons on the NES30 are excellent. 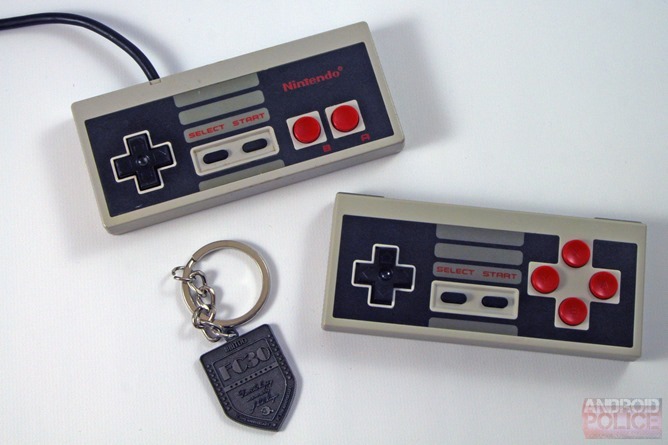 The manufacturer was serious about aping Nintendo's timeless design, and it shows. The D-pad is basically identical to Nintendo's, perhaps with a button travel from press to click that's a tiny bit shorter. The face buttons are exactly the same, except for the layout and the relief lettering. They're slightly curved inwards, making it easy to give them a firm press. The trigger buttons are pretty small for any controller. While they're quite springy and responsive, their size and squared shape make them impractical for anything more than a quick tap or hold. Unlike the shoulder buttons on full-sized controllers like the Dual Shock and later, they're not suitable for extended use as a virtual gas pedal or gun trigger. That said, I haven't actually seen a game that defaults to that kind of configuration, so it hasn't been an issue. Ergonomically, the NES30 fares better than you might expect from a hunk of plastic the size and shape of a pack of cigarettes. With my index fingers "clawed" around the trigger buttons and my middle fingers providing support, I was able to play comfortably for an hour or more. Of course it's not as nice as the flowing curves of modern controllers, or even something like the MOGA Pocket, but for something this small, it suffices. Battery life with the internal rechargeable battery is not an issue. 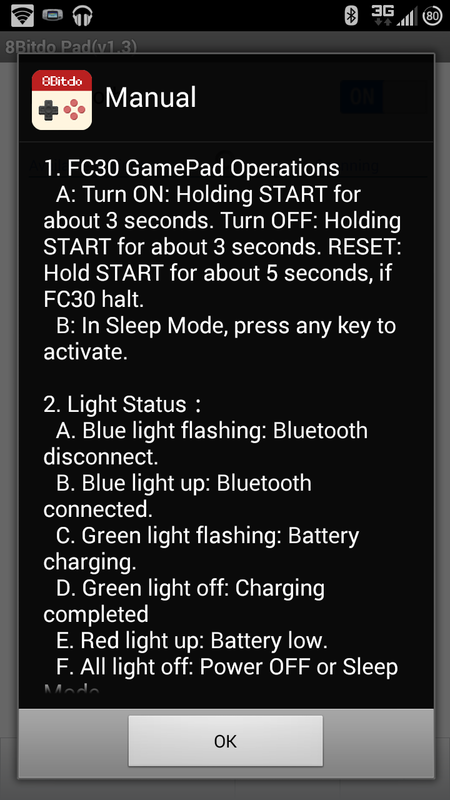 I played periodically for several days before the red light indicating a low battery flashed, and an hour or two on a MicroUSB charger took care of it. 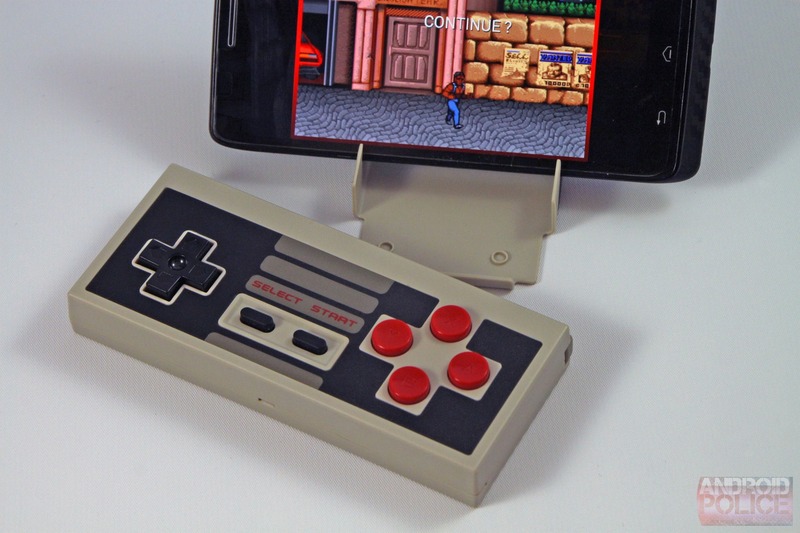 With no extras like analog buttons or a vibrating motor, the NES30 will last longer for any game than the Android phone or tablet you're playing on. 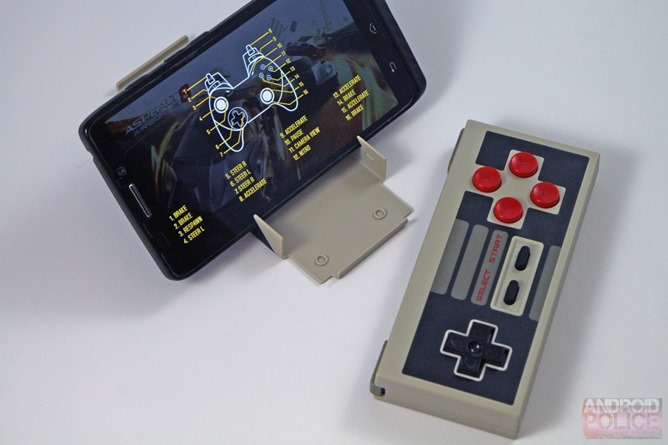 Support for games is what makes or breaks a mobile game controller - just ask the makers of the MOGA or iMpulse. 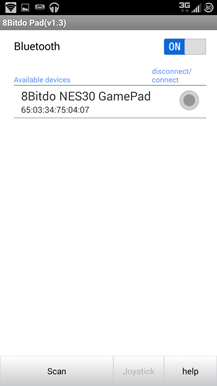 In its default mode, the NES30 behaves as a generic HID controller for Android. That means that any game that supports the API should (at least in theory) work perfectly. I've found that games that support the standard controller input work with the NES360 exactly as intended. Most games from the developers who tend to include gamepad functionality - DotEmu, OrangePixel, et cetera - will work without any adjustment whatsoever. Games with basic support will be alright as well - even my go-to version of 2048 worked with the D-pad. 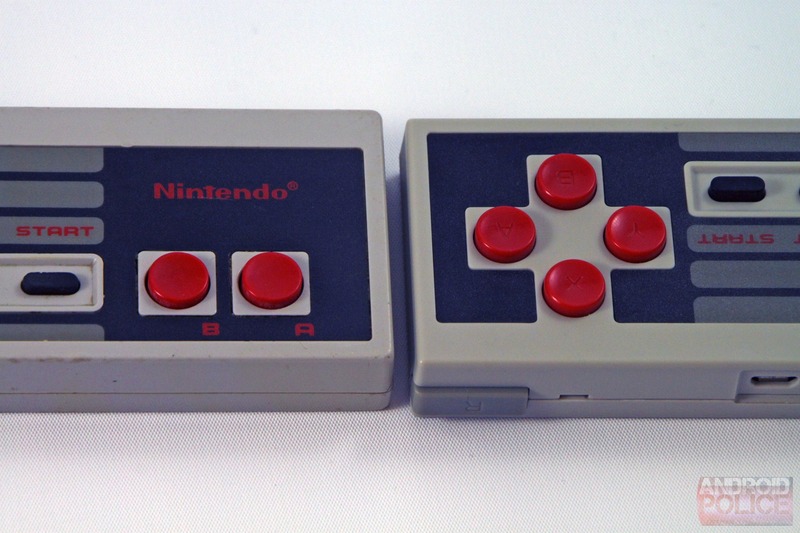 Games that require more controls than are actually present on the NES30 are a problem, of course. Most 3D shooters are out of the question, if only because simultaneous movement and look controls are more or less impossible. But advanced games that include support for some specific controllers, like the SHIELD, seemed to have errors as well. For example, in Grand Theft Auto: Vice City I could move the character around, but I couldn't perform any actions. In the new Goat Simulator, I could perform all the actions... but I couldn't move. While Asphalt 8 worked perfectly, my go-to fighter Soul Calibur did not. 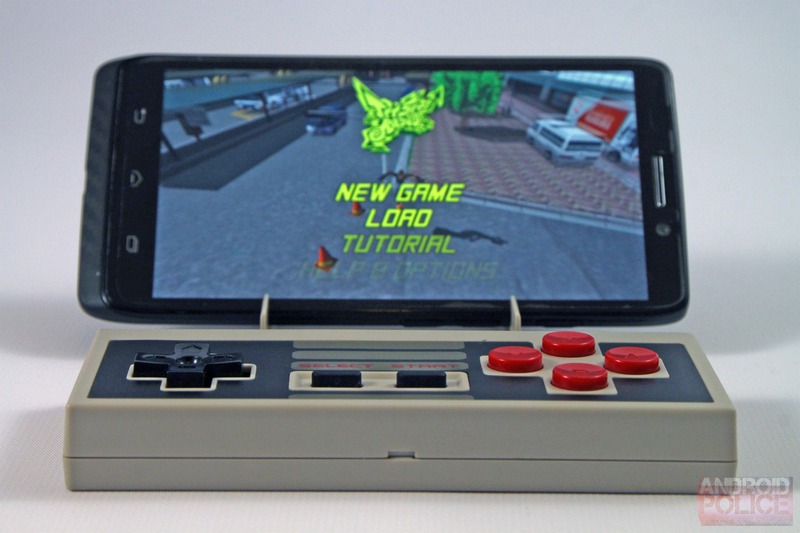 This is pretty par for the course as far as Android gaming goes, I'm afraid. Naturally, the NES30 is at its best when playing old-school titles, or new games that are designed to play like old ones. Metal Slug X, Double Dragon, and Samurai Showdown II, and all the usual suspects worked great. SEGA seems to be a bit of a mixed bag - while all the 2D Sonic games were perfect, Crazy Taxi was a bust, while Jet Grind Radio was surprisingly functional. Square Enix... good grief, Square, get your act together. None of the company's classic (and expensive) RPGs can be played with any external controller. Given its aesthetics, this controller is bound to be popular with the emulation crowd. Most of the classic console emulators for Android include robust control mapping options, so those apps shouldn't have any trouble - I played Gameboid, DraStic, and similar emulators and with no trouble at all. 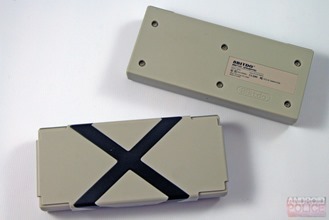 The NES30 can also function as a standard Bluetooth keyboard if that makes mapping easier. Side-scrolling games, fighters, and racing games are excellent fodder for the NES30. Anything that requires one or more analog sticks probably isn't ideal. If your favorite game doesn't support any hardware controls, bug the developer. My personal favorite game at the moment is Wayward Souls, and as it happens, a recent update makes it work perfectly with the NES30. 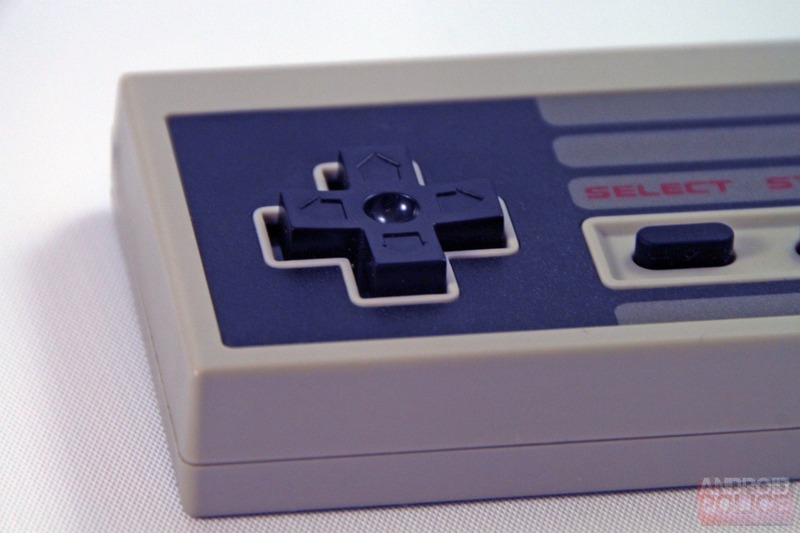 The user turns on the NES30 by pressing down the Start button for three seconds. 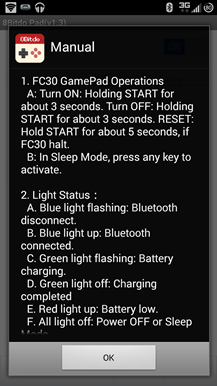 By default it boots up as a generic Bluetooth HID controller, but in fact there are five operational modes. The manual instructs the user to combine pressing Start and B, A, or X to enter the Bluetooth keyboard, iCade, or "Emu-Touch screen" modes. Plugging the controller directly into a computer via the MicroUSB cable also makes it a wired controller for your PC. The manual also says that the controller can double as a Wii remote, presumably with button emulation only, but I have no console to test it on. iCade support on Android is extremely limited, much more so than the generic HID input, so it's best left ignored for regular readers of this site. 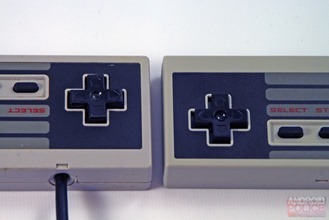 The keyboard mode substitutes the controls on the NES30 for various letter keys. This isn't ideal for most games, but for some button-mapping apps and emulators that attempt to re-map hardware keys to game controls it can be useful. I never got the Emu-Touch Screen mode to do much of anything, despite using it on a rooted phone as instructed. I don't have any iOS or Mac machines to test the NES30 on, but I'm happy to report that it works exactly as intended on Windows. Plug it into your computer and it should work with any game that allows controls to be re-mapped. A Bluetooth connection with a Windows PC worked the same way. Strangely, those titles that default to an Xbox 360 controller (a popular option among PC gamers, particularly on Steam) seem to have trouble, especially if they're designed exclusively for that gamepad. 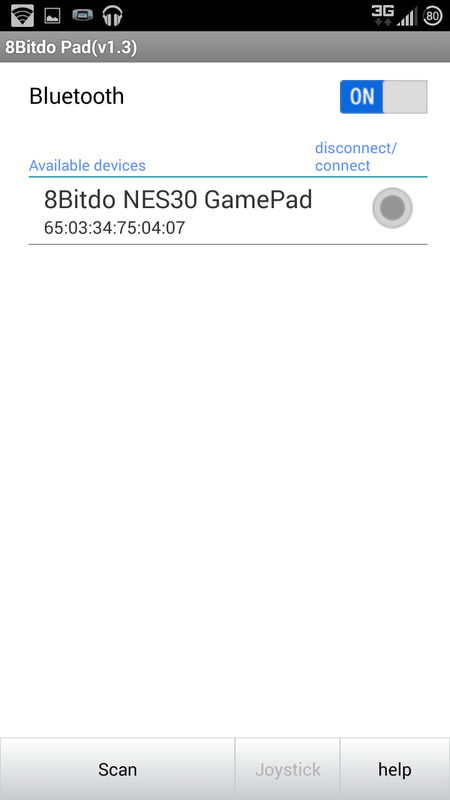 8BitDo has released an Android application specifically for supporting the NES30. It's crap. I installed it and it only connected about half of the time, oddly only when the controller was not connected to Android's default Bluetooth setup. The app allegedly allows users to switch between operating modes on the fly, but even when this worked, it wasn't particularly useful. The app has no re-mapping functions, or really anything that's worth the install, and it's only available as a manual download from the NES30 website. Skip it. 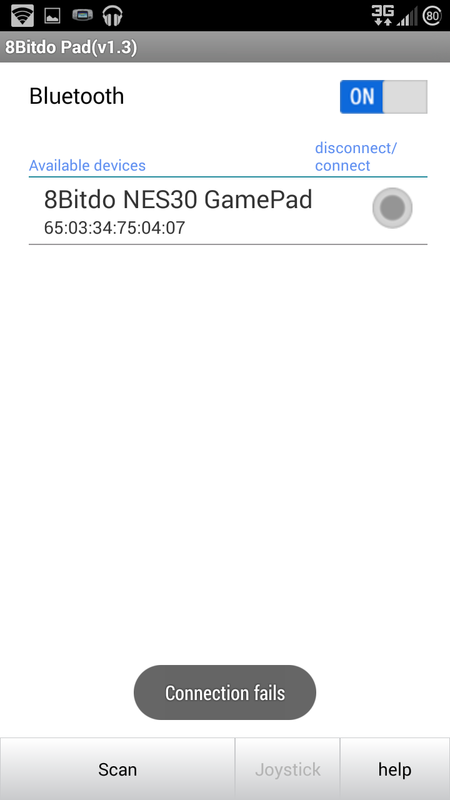 8BitDo does include a firmware update for the NES30 which I applied via Windows, but I didn't have a significantly different experience before and after. 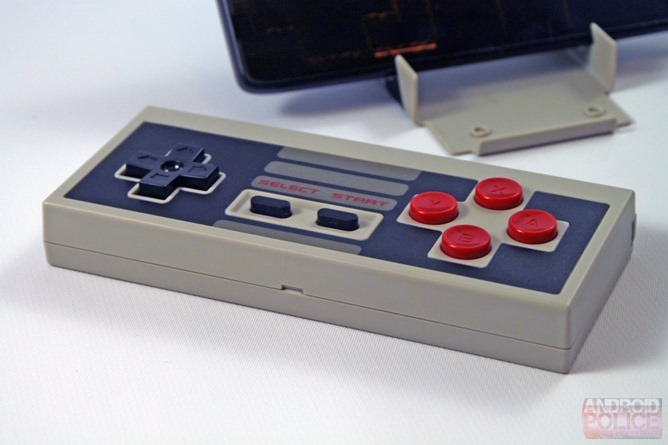 The NES30 is a surprisingly effective mobile controller given its relatively ancient inspiration. The size is ideal for a traveling gamer looking for good tactile input, the connections with Android and other systems are easy and (where supported) seamless, and the long-lasting battery and decent ergonomics are in its favor. The nostalgic looks of the controller alone will be enough for some gamers to purchase it instantly, and the extra face and shoulder buttons mean it's actually practical for a wide variety of games. The device is simple, but it does what it is intended to do with no difficulty. 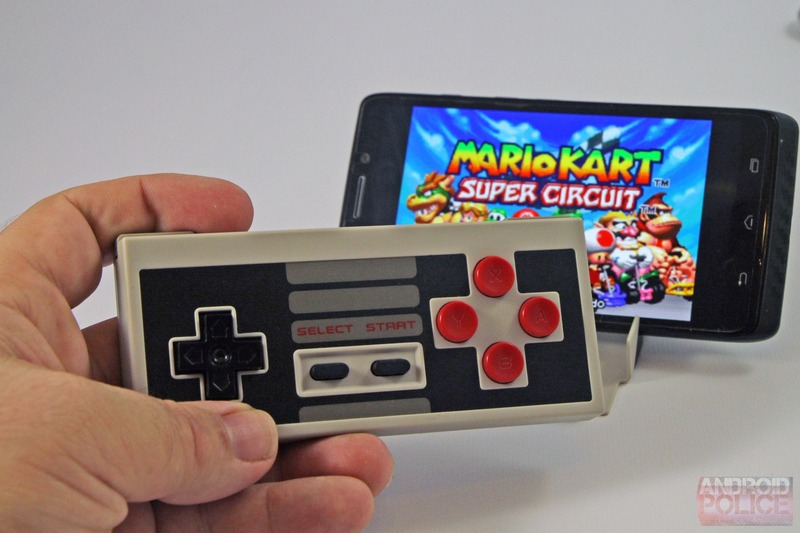 Game support on Android can be spotty, but that's a fault with developers, not manufacturers - there are plenty of titles that will accept the NES30's input immediately, and more can be added via emulators and a little elbow grease in keyboard mode. The price is the biggest deterrent for the device: the only Amazon merchant to stock the Chinese product currently has it at $45, which is about what it's going for elsewhere. That's a bit steep for a controller from a relatively unknown manufacturer. If the price doesn't bother you, or if you're willing to pay a slight premium for the retro factor, the NES30 is certainly worth your consideration. If nothing else, it works as a conversation piece for your gamer friends.